ICE Scotland celebrates excellence and innovation in civil engineering and its contribution to society through project and individual awards. These annual awards recognise the best in civil engineering across Scotland from projects completed in the last two years. Entries open in spring, site visits by industry experts take place over Summer and awards are presented in Autumn at a high profile event. ICE Scotland organises and supports awards which showcase the outstanding achievements of ICE members. Pitch 200 is a competition with a difference. This competition is an opportunity to show the general public how civil engineers transform their lives directly in order to encourage the next generation into the profession. Once I'd sent it in, I'd wait to hear if I'd been shortlisted. If I am, I'll get the chance to produce a longer 200 second talk to be presented at the Scotland Pitch 200 final. If I win this then I will go through to present at the final at One Great George Street, London. The Scotland region Pitch 200 competition is open to all current ICE members who live, work or study in Scotland. To enter, you need to register your intent to join the competition by completing and sending the Pitch 200 Entry Form and 60 second summary video to [email protected]. Please register your intent to join the competition by submitting a 60 second summary video by 10 May 2019 to: [email protected]. The competition is open to all ICE graduate and student members with papers on any area of engineering design, research or practice. Papers have to be expertly presented and discussed, as well as being innovative and well written. It's an excellent chance to practice your writing and presentation skills – perfect preparation for a viva or Professional Review. It'll also raise your profile, help promote your university or employer, and give you the opportunity to have your paper published. Competitors can also win money - £250 in most regions - and there's another cash prize and the prestigious Institution Medal for the overall winner. The pan-Scottish competition heat will take place and the winning paper is put in for consideration for the wider international final. Three top finalists are selected and then invited to present their papers at the international final. Graduate members (GMICE) can adapt papers from professional development or Professional Review reports. Student members can adapt a university project or thesis which should preferably be based on your own work. Contact your Regional Support Team to find out about submission dates and prizes for your regional finals. You can find full competition guidelines on the entry form which you'll also need to complete and send in with your entry. 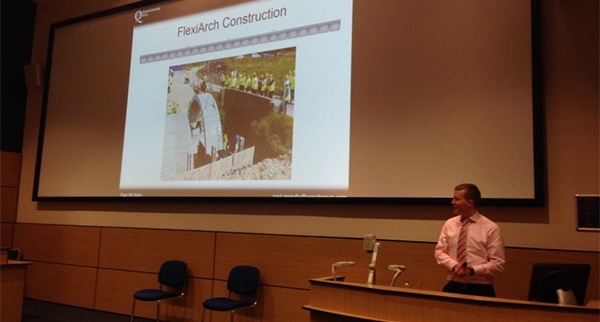 Paul McNulty, from Wood Group PSN for his paper, Behaviour and Analysis of a Novel Skew Flexible Concrete Arch Bridge System. 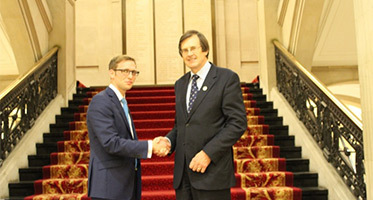 Paul was also selected for the UK final and finished third after presenting his paper in London. The branches that make up ICE Scotland also run competitions throughout the year. This competition is run by the Graduates and Students in Aberdeen. 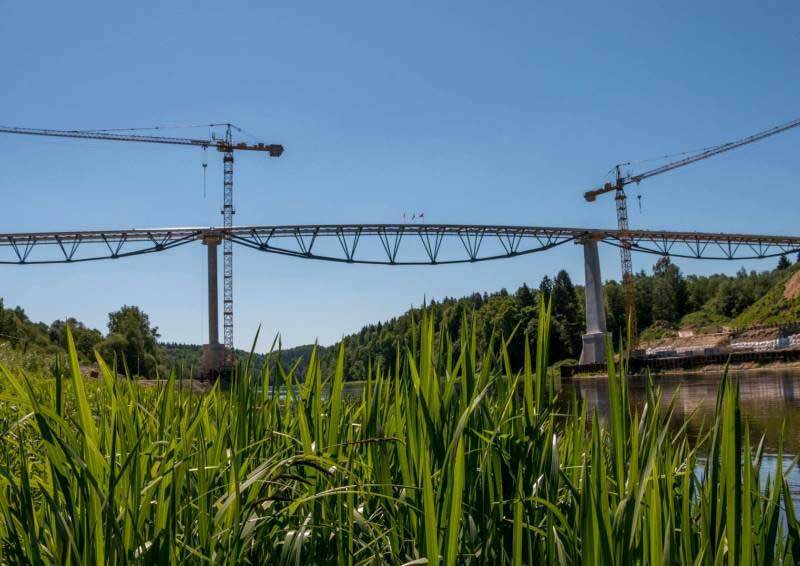 Members are invited to submit images that show 'civil engineering in action'. Details of the 2015 competition will be advertised in the E-news and online. The 2014 competition was won by Armin Kakavand of Amec for his photo of work taking place on Amec's project to build a long term compression module for use in the North Sea gas industry. This competition is run by the Graduates and Students in Edinburgh. You are invited to enter a photograph on the theme "Engineering in Essence". This could include anything from innovation to sustainability, social impact and undervalued infrastructure to one of those awe inspiring structures civil engineers build. Entrants should be a graduate or student member of the ICE and based around the Edinburgh, Lothians or Border region. A max. of three entries per candidate will be accepted. The entry should be submitted in a landscape .jpeg format via email to the contact address below and include your details, ICE membership number and a brief description of the entry describing what it means to you. 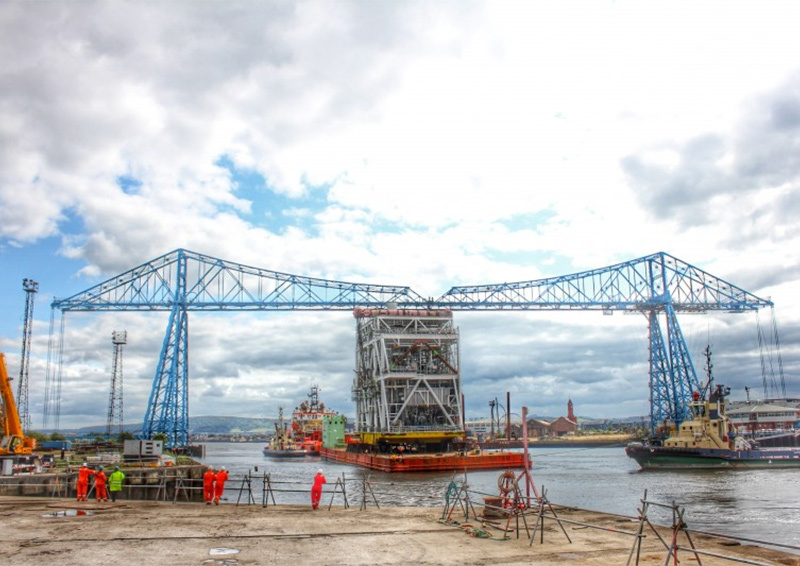 The winner will be awarded two tickets for a Forth Cruise trip around the bridges with the excellent opportunity of photographing the new Queensferry Crossing bridge at this exciting stage of its construction. The winning photo will also brand the Facebook page for the ICE Edinburgh Area Graduate & Student Branch. Entries should be sent to [email protected] and the competition close on 14 October 2016. Entrants must be graduate or student members of ICE and reside within the Edinburgh or Border region; There is a maximum of 3 entries per person; Entries are preferred in a landscape orientation to allow use as a social media cover image. Deadline for entries - Friday 14 October 2016 at 6pm. The Glasgow and West of Scotland Photo Competition has changed. The submission process has been simplified and judging will now be by ICE members in an on-line vote. Save the competition email address into your phone, so that you can submit your photos with only a few clicks. Use the #hashtags above to identify the entry category. Competition entries will be available for ICE members to view during the duration of the competition. Winner of each category will be awarded £150 of photography equipment. 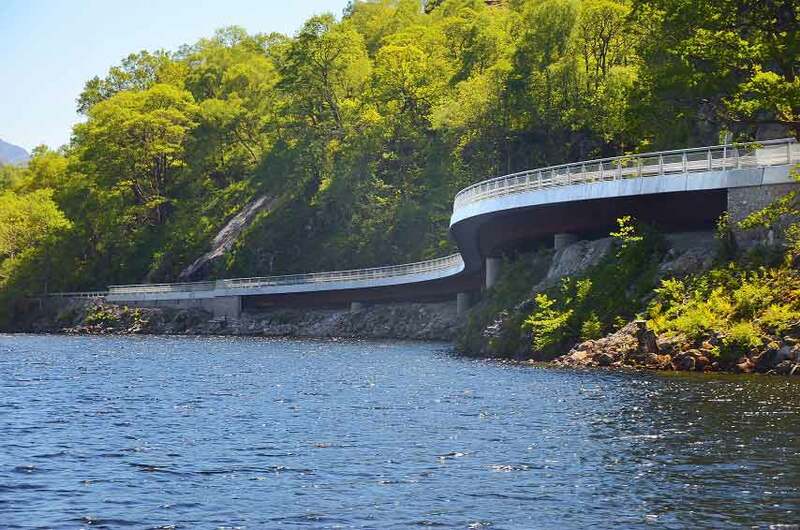 Last year’s winning picture by Alan Frew of the completed A82 road works at Pulpit Rock, Loch Lomond. 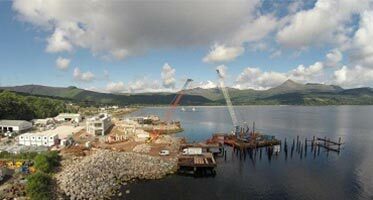 Entries must feature or have a link to civil engineering projects in Scotland (preferably recent projects). Images must be submitted in jpeg format with a minimum resolution of 3 Megapixels. Prize for the top image in each category will be £100 of photography equipment vouchers. Is the cost of a student loan preventing you from studying civil engineering? See how a scholarship from ICE Scotland could help. Why not apply for ICE Scotland grant? Four awards of £4500 per year for young people aged 21 and under living in Scotland to study in Scotland. Applications are invited from young people applying for a college or university course in Civil Engineering from September/October 2019 onward. The award is open to full-time or part-time students as well as apprentices or students on day or block release from an employer. Each successful candidate will receive £4500 per year for a maximum period of four years. Awards will be given in two equal £2250 instalments in August and December. The civil engineering qualification must be recognised by the Institution of Civil Engineers – for example NC, HNC, HND, BSc, BEng, MEng. Recipients of the award will be expected to commit to a future professional engineering qualification such as EngTech MICE, IEng MICE or CEng MICE. The Institution of Civil Engineers (ICE) administer the Scotland-wide Into Civil Engineering Awards, as well as the UK-wide Quest Scholarships. ICE will only pay one award to any individual student. So, if you gain both these awards, you will have to select the one which you prefer to receive. During April and May a shortlist will be prepared listing those candidates to be interviewed. The interviews will take place in May and June; and the successful candidates will be notified of their Award not later than June 30. All successful candidates are require to provide written confirmation from the relevant university or college that they have been enrolled on their civil engineering course. Recipients of an award must complete an Annual Report Form for each year of study they complete, listing their academic results, which must be signed off by a member of the academic staff. The continuation of payments is dependent on satisfactory progress through the course chosen. On completion of the course, a copy of their academic qualification is to be provided. Recipients who leave their course before completion must notify ICE Scotland with immediate effect. Complete an application form including the name of one referee and proof of enrolment on a college or university course in civil engineering. Young people for whom the cost of student debt is a potential deterrent to a career in civil engineering and those living in rural areas are particularly encouraged to apply.